Micropacks are only available for purchase through our online store. Not Quite Sure What You Need? Want to Consider Another Type or a Different Material? Consult MOCAP's Exclusive Application Advisor for Assistance. MOCAP EPDM Rubber Pull Plugs are stocked in many sizes to fit your specific application. EPDM rubber product pull plugs are chemical resistant and good to 300°F (149°C) and can be re-used in many applications. Available in sizes to fit 4-40 through 1/2 standard threaded holes and M4 through M12 metric threaded holes. 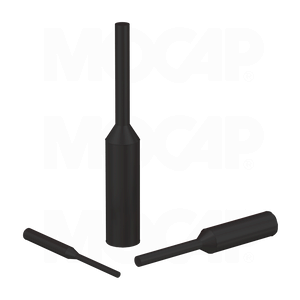 MOCAP's line of rubber products includes silicone and Rubber EPDM Rubber Caps and Plugs stocked in many sizes for immediate shipment.